I was impressed with the production quality of this show--great sound, pleasant backdrop, no apparent technical difficulties, someone next to the computer to sharing comments with the performers. It was the most professionally presented performance I’ve seen on Concert Window. And now, all that said, the music was wonderful, too! 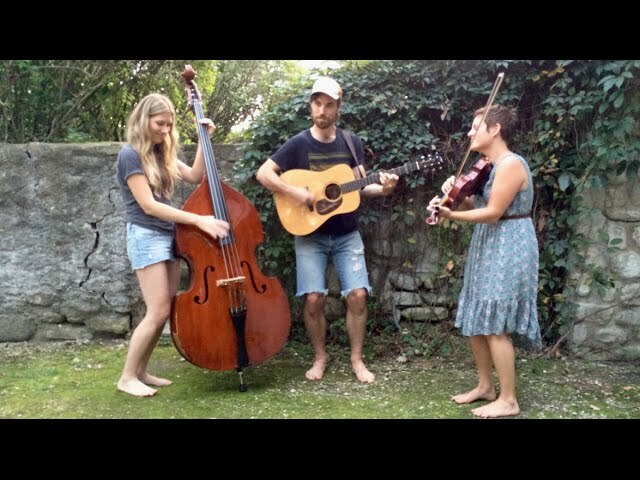 Big Sadie is Elise Bergman on upright bass, Collin Moore on guitar, and Jess McIntosh on fiddle. 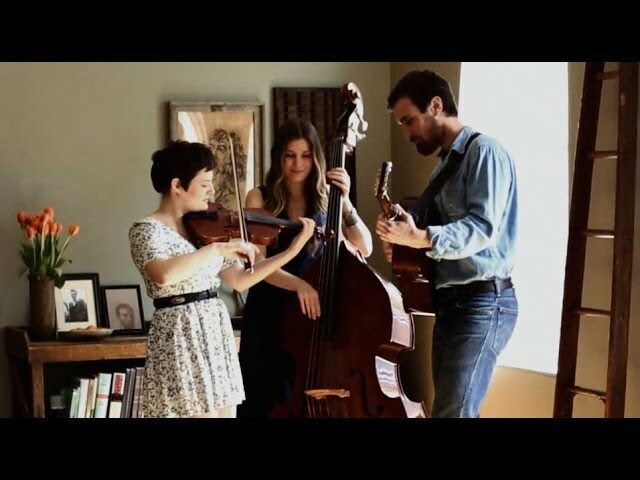 The Chicago-based trio formed in early 2014 and boasts an impressive repertoire of bluegrass, old-time, and original music in three-part harmony. Big Sadie’s uplifting performance invites audiences to share in a centuries-old tradition of unified experience between listener and performer. The band’s roots span from north of Milwaukee to the heart of Appalachia. Chicago native Elise Bergman grew up surrounded by music. She brings a solid blues influence to the band and owns a subtle lyrical twang that is easily received. Collin Moore grew up in the hills of East Tennessee, where he began learning tunes at an early age from his mother, an accomplished fiddler and ballad singer. Jess McIntosh hails from Southeast Wisconsin and teaches fiddle at the Old Town School of Folk Music. A lifelong and uniquely versatile musician, she comfortably moves between genres of traditional American music, as well as classical and contemporary styles.